Manage your client relationships and grow your book of business! Our Wealth Management solutions ensure that each of your advisors and relationship managers have a 360-degree view of their data so they can build stronger relationships and make more tailored recommendations to meet their clients’ goals. When integrated with your core portfolio management and financial planning applications, our solutions empower your advisors and equip your management team with critical business insights. Empower your employees to deliver a proactive experience based on personal and contextual knowledge of the client. Drive business process efficiency and KYC compliance through real-time collaboration, automated workflow, and the elimination of tedious manual processes. Track your clients’ households as they grow and change to provide clear, consolidated visibility into a single, organized data source. We know the new Financial Services Cloud inside and out. 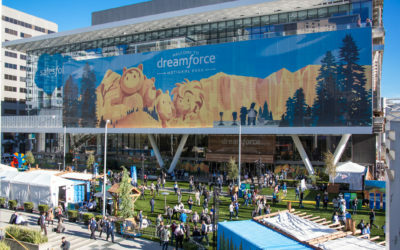 If you are implementing this innovative new solution that leverages Salesforce’s new Lightning Experience, we can help. Financial Services Cloud has powerful tools your advisors can use to stay connected with clients, nurture relationships, and get robust insight to data from your other core systems. The Silverline Solution for Financial Services Cloud helps you maximize the value of the app and ensure your team can develop strong relationships, build your book of business, and maintain compliance with an ever-evolving regulatory landscape. The success of Wealth Management firms depends on their ability to understand their clients, help them attain their financial goals, and ensure their legacy lives on for future generations. Silverline knows that householding is at the heart of all Wealth Management solutions and we have developed a custom solution on the Salesforce platform. This solution allows advisors and financial planners to easily build households and relationship groups on the fly - or integrate to legacy systems that manage this workstream.